Seasonal Affective Disorder : SAD ! | It-11 Audio / Tonegeek"
Seasonal Affective Disorder : SAD ! Do you experience winter blues or seasonal depression ? Do you suffer low energy levels, fatigue, weight gain, irritability, interrupted sleep each fall and each winter ? If you answer “yes” you are suffering from Seasonal Affective Disorder (SAD). What to do about it ? Use a light box ! 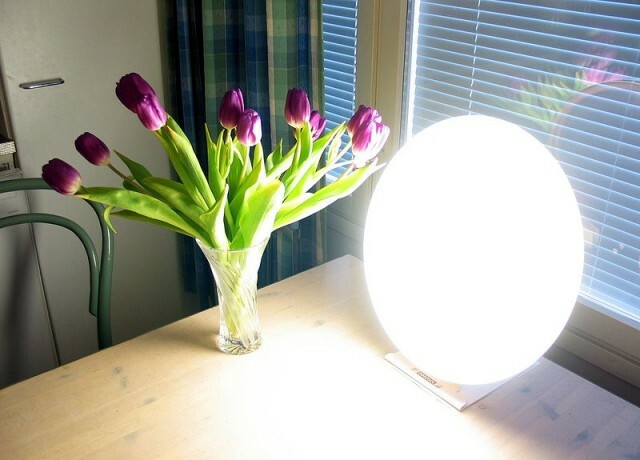 Light therapy is to treat seasonal affective disorder (SAD) by expose you to an artificial light. SAD is a type of depression that occurs each year in the fall or winter. With light therapy, you have to sit or work by a light therapy box. This gives off bright light that mimics natural sun light. It is thought to affect brain chemicals conducting to mood and SAD symptoms. A light therapy box also helps you with sleep disorders. This entry was posted in What's up, doc ? and tagged light therapy, phototherapy, SAD, Seasonal Affective Disorder. Bookmark the permalink.